Frank Tayell's Blog: Beat the heat, read Serious Crimes. 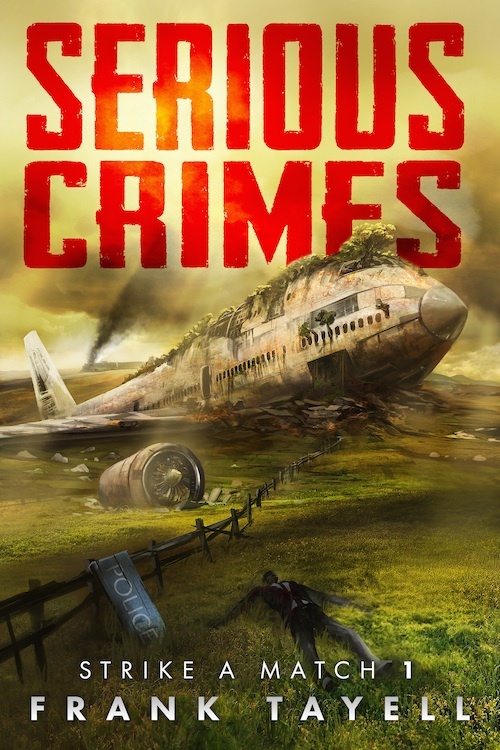 Serious Crimes is currently free on Amazon, Google, Kobo and iTunes (and all other retailers). The first book in the Strike a Match series, this is a post-apocalyptic detective story of life twenty years after a nuclear war. Two decades after the artificial intelligences fought their brief, terrible war, the southern coast of England has become the hub of civilisation, though Britain has been reduced to a population of two million, and technology has regressed to the age of steam. Europe and Africa are wastelands with only a few coastal communities holding out against barbarous savagery. The United States is divided. Three presidents claim the title, but there are too few survivors for the the country to be riven by civil war. Instead, diplomacy prevails. As Americans gear up for re-unification and a presidential campaign, Britain is looking forward to its own election and the question of whether the ageing prime minister will step down. As the democracies struggle against the nightmare forces that would turn them into dystopias, old conspirators emerge. Power is once again a prize worth murdering for, and it is down to the understaffed Serious Crimes Unit to stop them. This isn’t the story of how individuals survive the immediate horror of nuclear war, but of what happens next, of how they rebuild, and of those who would try to stop them. 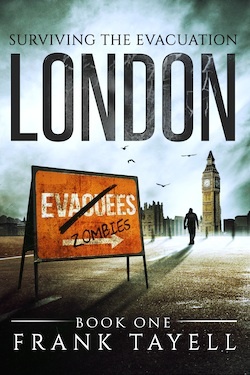 When I first came up with the idea for Surviving the Evacuation, it was called The Zombie War Crimes Trial, and that title pretty much describes the plot. The journal was presented in evidence twenty years after the outbreak at a trial of the politician the survivors held responsible. Back then, the story was set on the Isle of Wight, but as the journal got longer, the plot changed. I’d always wanted to write a story about what happens next. Books about the apocalypse (and movies, for that matter) always stop when the hero wins (or dies) and the world is saved (or destroyed), but that always made me wonder, what next? Did Bill Mason ever find a way of stopping the triffids? Without the evil corporation, did democracy prevail? How did they distribute the food? How did they create an economy? Where does the electricity come from? Book 1 of the series is free at the moment (at least until the weekend, though it’ll be going back to £1.99 soon). Strike A Match 3: Economic Necessity will be out this autumn followed by one or two books a year up until 2020. If you’ve already read it, I hope you enjoyed it, and if you haven’t grab a copy now.